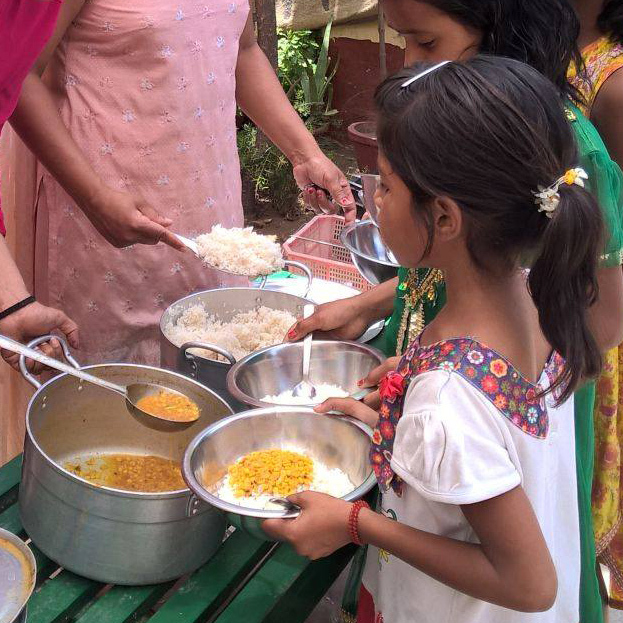 IFBN helps corporates to prioritize food security and nutrition and to use the resources earmarked for CSR initiatives to fund nutritious meals to children in schools. Yum! India as part of its corporate social responsibility initiatives, has associated with IFBN to provide daily nutritious meals to 4500 underprivileged children under the campaign carried out by Yum’s brand KFC in the name ‘Add HOPE’. IFBN is able to leverage its extensive network of partners and beneficiary organizations to reach out to children and other beneficiaries at various locations in the country in alignment with the CSR projects needs. The one million meals in partnership with KFC will definitely 'Add HOPE' in the lives of children in Bangalore, Chennai, Kolkata and Hyderabad. We are not just feeding the hungry, we are empowering them to achieve their dreams. Especially #SchoolMeals keep children in school, improve learning outcomes and transform lives.